For more than thirty years, Fred Rogers was a beloved fixture in American homes. Warm and welcoming, he spoke directly to children—and their parents—about the marvels of the world, the things that worried them, and above all, the importance of being themselves. Dressed in his cardigan and sneakers, Fred Rogers offered a wholesome message of generosity and love that changed the landscape of television and shaped a generation of children. Kindness and Wonder pays tribute to this cultural icon: the unique, gentle man who embodied the best of what we could be. Looking back at the history of the show and the creative visionary behind it, pop culture aficionado Gavin Edwards reminds us of the indelible lessons and insights that Mister Rogers conveyed—what it means to be a good person, to be open-hearted, to be thoughtful, to be curious, to be compassionate—and why they matter. 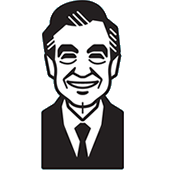 Beautifully crafted, infused with Mister Rogers’ gentle spirit, and featuring dozens of interviews with people whose lives were touched by Fred Rogers—ranging from Rita Moreno to NFL Hall of Famer Lynn Swann—Kindness and Wonder is a love letter to this unforgettable cultural hero and role model, and the beautiful neighborhood he created.